Let’s face it, your “mens” shower gel most likely has an indiscernible, synthetic scent that has nothing to do with being clean nor masculine. Every Man Jack strays away from your typical pheonix and cool mountain breeze fragrances to provide high quality products that are natural, honest, and best of all, well-priced. 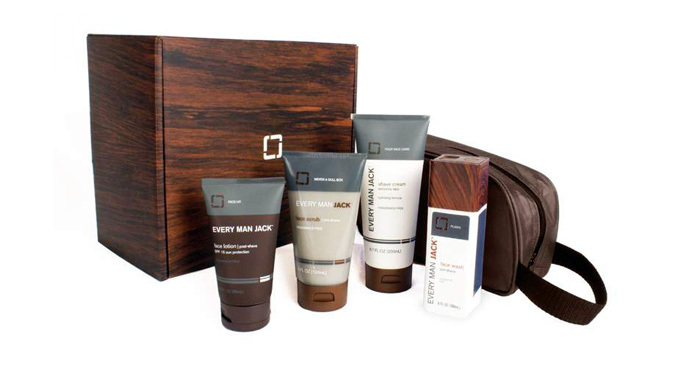 Their products range from chapsticks to body washes, shave kits, shampoos, and more. Their scents are mint, citrus, cedarwood, and fragrance free. Most products are priced in the super-reasonable $5 to $20 range and are available at a variety of retailers as well as Every Man Jack Online. While you’re there, make sure you check out their DIY Kit, where you can choose any five of their products as well as a bag for only $25.